High Atlas, also called the Grand Atlas Mountains is a mountain range in central Morocco in Northern Africa. The High Atlas rises in the west at the Atlantic Ocean and stretches in an eastern direction to the Moroccan-Algerian border. We will leave from Marrakech at 8am and drive 40 minutes to get to our first stop in a Moroccan berber house and we will visit all of the berber rooms to see how they live. After this we will go up to the roof to see an amazing panoramic view! The owner of the house "a berber lady" will show us how to make the berber mint tea and we will have breakfast too (bread_ butter_honey_olive oil and tea). 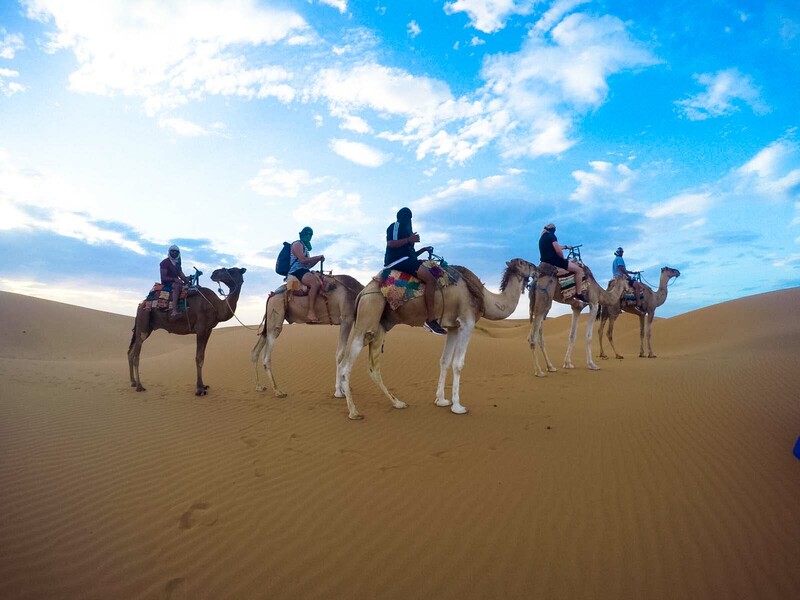 After this great experience at the berber house the second stop will be for a Camel Ride (30 minutes). We will then drive to the Setti Fatma village which is the center of the mountains and go hiking for 1hour to the top to see the 7 waterfalls with the best views of Ourika village. We will then go back down and have lunch in the valley. After it, we will go for our quad bikking time, and there you will have 1 hours to ride the quads near to the Takerkoust lake. At the end of the afternoon we will go back to Marrakech.